The École de Légèrete was founded by Philippe Karl in 2004. In his school, Philippe Karl combines the knowledge of the old masters (Xenophon, Pluvinel, La Guérinière, Dupaty de Clam, L’Hotte, Baucher, Beudant, Oliveira, and many others) with a clear and efficient concept. This is based on the most recent scientific studies regarding anatomy, physiology, biomechanics, balance, psychology and ethnology. 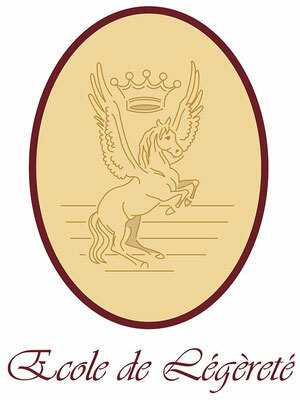 One of the basic principles of the École de Légèreté is the absolute respect towards the horse. 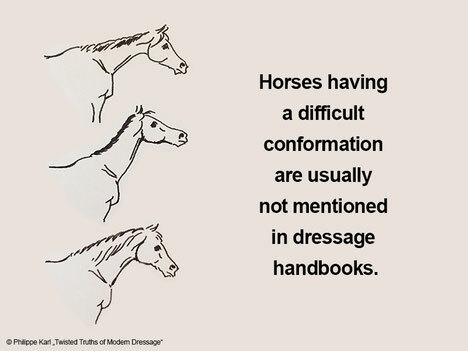 Accordingly, every violent action and so-called artificial “aids” (such as, for example, tightly fastened bridles or nose bands, running reins, martingales, and side reins) as well as any roughness is excluded from our training. This way of riding focuses on all breeds and is transferable to any riding discipline. 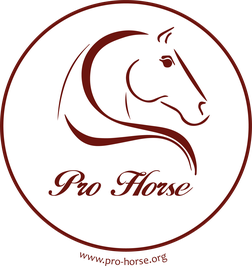 It provides a training plan that is easy to understand and dependable, having clear principles, efficient methods and a horse friendly approach. 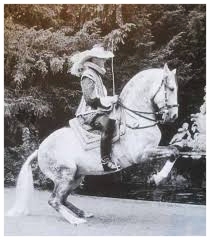 In this manner, the high school of riding becomes accessible to every rider who is serious in his endeavours, even if he or she has an “ordinary” horse. Our goal is to increase the efficiency of training and in doing so to use our means less and less to show off the horse in the best possible manner. 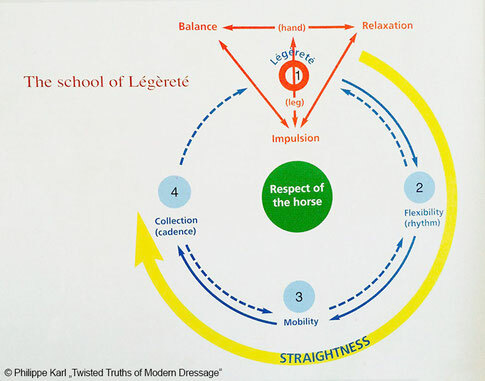 The goal of the École de Légèreté is a horse that has been schooled in a multi-facetted manner, which at any time reacts lightly to the aids of the rider. 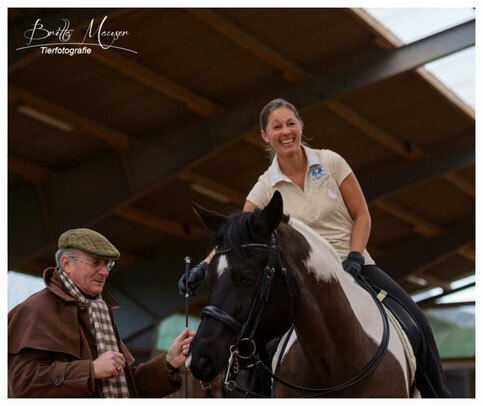 This clear and horse friendly way of training is based on mutual respect, trust and well-founded knowledge – amongst others also the learning behaviour of horses – and is therefore well suited to combining it with my view regarding good horsemanship. It is no big surprise that many riders with this basic knowledge find their way to the École de Légèreté. „The role of patience in riding is often emphasised. However, patience alone will not achieve the desired result. 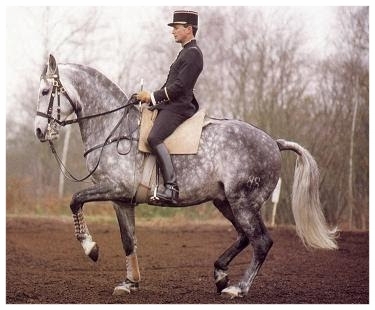 Rather for riding it is important to know that patience does not equal knowledge, but that one needs knowledge and may not be impatient.“ - Philippe Karl, 'Twisted Truths of Modern Dressage"
Lungeing without artificial reins on the cavesson, also over small jumps. Schooling of the appropriate use of the hands. 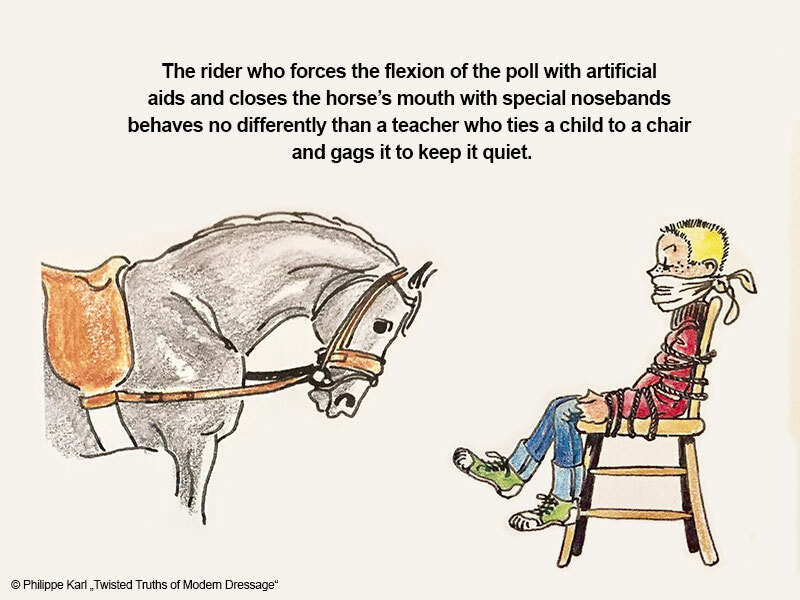 Flexions loosen the lower jaw and as a result also release tension in the poll and neck. they explain the meaning of the bit and the hand to the horse. they are the first small steps towards flexing the poll and achieving “Ramener”. Work in hand in motion. A crooked horse can not unfold its full potential! Working on straight and curved lines with inside as well as in counter-bend. Improvement of the natural crookedness and straightening (improvement of the lateral balance). Working towards stretching forward and down depending on the conformation characteristics of the individual horse. Working on going forward with a steady but light contact. Resulting in an improved and even rhythm. Canter work in counter canter and transitions. Improvement of the horse’s lateral and horizontal balance. Collection is born from an exaggerated mobility in a longitudinal direction. Transitions of all kinds for improving the horizontal balance of the horse. Overall an improvement of impulsion, lightness and horizontal balance which results in cadenced and stylized gaits (candence). FAQ’s regarding the Ecole de Légèreté and other articles can be found in our blog.